Ahead of the start of ticket sales for the Men’s EHF Cup Finals 2017, organisers of the event, FRISCH AUF! Göppingen, have announced an official title sponsor of the Men’s EHF Cup Finals. 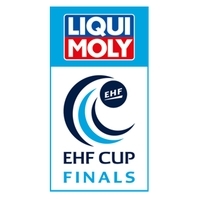 The event taking place on 20 and 21 May 2017 in the EWS Arena in Göppingen will now be called the LIQUI MOLY EHF Cup Finals. LIQUI MOLY is a globally renowned manufacturer of premium quality lubricants, motor oils, additives, vehicle care products, chemical repair tools, service products, glues and sealants headquartered in Ulm, Germany. In the past few years the company has become a significant player in national and international sports sponsorship. The new partnership is a positive development both for the event and the EHF Cup. In addition to the title sponsorship of the LIQUI MOLY EHF Cup Finals, the company will receive considerable TV exposure through on-court and perimeter advertising as well as on-site promotional activities. As part of the deal, LIQUI MOLY will also take advantage of VIP hospitality throughout the final weekend and the new title sponsor has been integrated into a composite logo for the event. "Handball reflects our approach to work very well: full of power, fast, direct and very creative. And you can only be successful as a team. LIQUI MOLY is not only a strong brand with tradition and vision in Germany but is also active in 120 countries. FRISCH AUF! Göppingen and the EHF Cup are firmly established in European handball. Good reasons for a cooperation from which everybody can benefit.“ said Peter Baumann, Marketing Manager of LIQUI MOLY GmbH. Handball fans looking to secure their place in the EWS Arena in Göppingen on 20/21 May 2017 will be able to purchase their tickets from the FRISCH AUF! Göppingen club website, www.frischauf-gp.de. From 09:00 hrs on Wedesday, 22 March. Tickets will be available in four categories and priced between 119 Euro and 79 Euro. Additional standing places will be available for between 49 and 34 Euro. Each team playing in the final weekend has 250 seats reserved for their own fans. With around 4,000 products, LIQUI MOLY, offers a unique worldwide range of premium quality lubricants, motor oils, additives, vehicle care products, chemical repair tools, service products, glues and sealants. Founded in 1957 LIQUI MOLY manufactures and develops its products mainly in Germany, where it is the market leader in additives and is frequently named the best oil brand. The company, led by Ernst Prost, sells its products in over 120 countries and achieved a turnover of 489 million Euro in the past year. The fifth edition of the Men’s EHF Cup Finals will be hosted by FRISCH AUF! Göppingen in the EWS Arena, Göppingen, Germany on 20/21 May 2017. A capacity crowd of almost 6,000 will welcome the four best teams from the Men’s EHF Cup as the hosts look to defend the title they won last season in Nantes, France. Tickets for the event go on sale on Wednesday, 22 March on the club’s website at www.frischauf-gp.de. For further information about the Men’s EHF Cup and LIQUI MOLY EHF Cup Finals visit eurohandball.com.